Albert Lee Country Legend DVD download. One of the greatest hot country guitarists discusses the history and development of country and rockabilly guitar, demonstrates his renowned rhythm guitar style and b-bender licks, discusses his influences and demonstrates the licks and solos that were an early influence on him, and demonstrates his remarkable lead guitar technique with special demonstrations of both his flat picking and “hybrid” picking techniques. 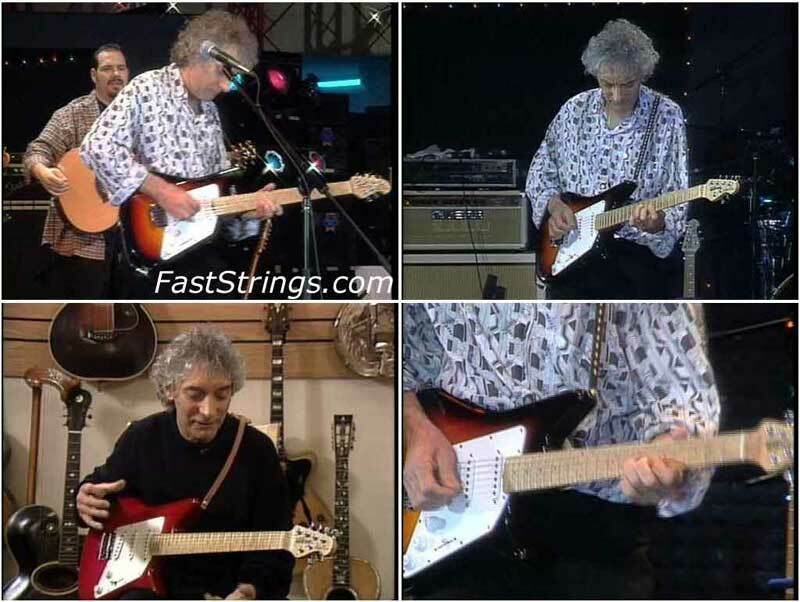 This DVD is comprised of a full length concert given by Albert Lee with segments interspersed between the songs in which Albert discusses the guitarists he admired and emulated during his formative years. The concert performance is first rate. He plays several of the classic songs which showcase his awesome guitar playing, such as “Luxury Liner,” “Tear It Up,” and, of course “Country Boy.”The version of “Country Boy” on this “Country Legend” DVD might be the best ever. Albert’s discourse about his boyhood guitar heroes is a real bonus. It’s reasonable to assume anyone interested in this DVD is a hot country guitar fan in general. If so, they’ll probably find it fascinating to listen to Albert’s anecdotes about James Burton’s light gauge guitar strings, the diffculty of finding Chet Atkins records in England back in the ’60’s, and the monumental impact Cliff Gallup and Scotty Moore had on him. Albert demonstrates one or two signature licks from each guitarist. Be aware, though, Albert’s main objective is to give you general background information on guitarists who helped form his style, not to teach the viewer how to play. The DVD includes other little bonuses such as a video of Chet Atkins playing a fantastic version of “The Black Mountain Rag” and Hank Garland playing an equally enjoyable version of “Sugarfoot Rag.” You can also watch the concert straight through without Albert’s lecture on his favorite guitarists, if you so choose.